Can I lose Weight By Eating Chocolate? Who does not love chocolate? I think almost everyone has a soft spot in the heart for candy even if chocolate is not their cup of tea. However, mine is chocolate. I love it so much. Chocolate cake, chocolate frosting, chocolate ice cream, chocolate bars, chocolate mousse, chocolate chip cookies, chocolate dipped fruit, the list could go on forever, if it has chocolate in the name, chances are I will eat it. The problem with chocolate is that people tend to think it is the cause for a majority of weight gain. Most of the time, they are right. However, dark chocolate weight loss is a new diet that may actually have some ground to stand on. Scientist have recently discovered that Dark chocolate weight loss is an actual thing. Dark chocolate is actually able to curve the sugar spikes before and after meals. Causing people to crave food less. While this is not a win for all chocolate. Obviously you cannot eat a piece of chocolate cake before and after every meal and expect to lose weight, that is simply just madness. I only wish that was true. I would be the skinniest person in the world. When the body breaks down food, insulin is released into the blood stream and moves sugar out of the blood cells so that it can be used where it’s needed in the body or it is escorted out of the body as waste. However, the more sugary foods you consume the more resistant the blood cells become to the insulin which will cause spikes and drops of insulin levels and will render insulin ineffective against sugar. This is also a part of diabetes. Dark chocolate is able to drop the resistance of insulin so it remains an effective tool against sugars that are entered into your body. Thus, defending your body against diabetes and keeping it functioning properly. For people who like chocolate, it can be close to an obsession. If a chocolate lover is stressed, giving them chocolate drastically reduces their anxiety. 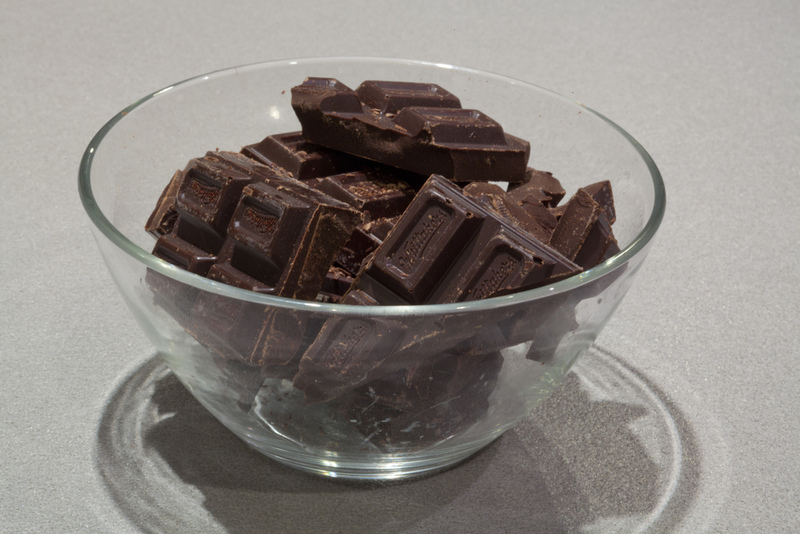 Small bits of Chocolate before and after meals is known to food cravings. People overeat now more than ever before. Overeating causes the body to feel unsatisfied after consuming a normal amount of food, making it almost impossible to lose weight.